Martin Horntveth (born 20 September 1977 in Tønsberg, Norway) is a Norwegian musician (primarily drummer), composer and electronica artist, the younger brother of tubaist Line Horntveth, but best known as the drummer and key member of Jaga Jazzist and The National Bank together with his brother Lars Horntveth. Horntveth with Jaga Jazzist at Sentralen during the 2016 Oslo Jazzfestival. Together with Ravi (Ivar Johansen) he started in 1994 the band Jaga Jazzist, where he and his brother Lars are key members. In summer 2003 he and his brother Lars, wrote a commissioned work for Vestfold Festspillene in Tønsberg. The work was performed by the musicians who later became the band The National Bank. He received the Edvard Prize 2005 in the class pop music for the tune Tolerate from the band's debut album The National Bank, together with his brother Lars and the lyricist Martin Hagfors. As a solo artist he has released two EP's with electronica music and toured the US and Europe. He also has a more pop/rock oriented solo project under the name Wolf Whistle where he plays all the instruments himself. Horntveth is also musician for the theater group Stella Polaris. Horntveth has also been a drummer in Bigbang in the period 1997–1999, and was playing the drums on the album Electric Psalmbook. He has been a band leader for Bertine Zetlitz' backing band, and played with artists such as Anneli Drecker, Thomas Dybdahl and the band Home Groan. 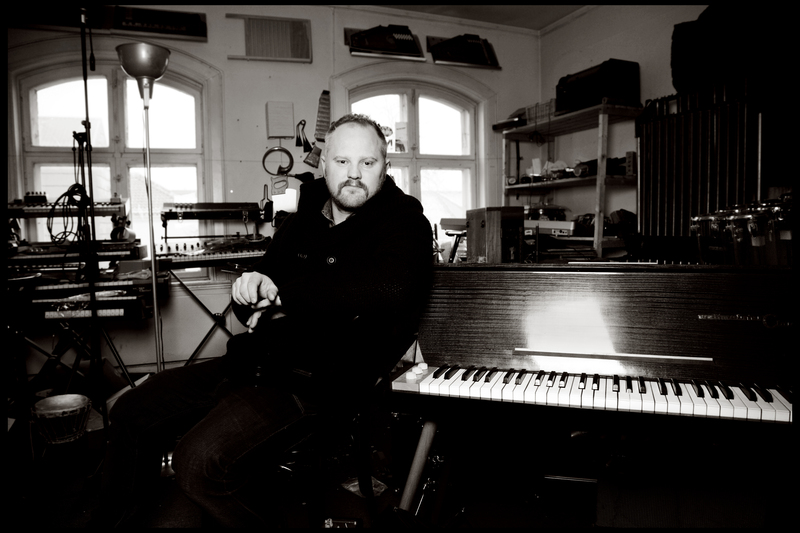 Horntveth has also written music for TV series Luftens helter and Himmelblå, and participated in the TV series Thursday evening with Steinar Sagen where he was musical director and studio musician in the fictional TV show. In 2003 he also became involved in a noise-rock side-project called Killl with Espen Hangård, Erlend Mokkelbost and Are Mokkelbost, which released a live DVD in 2011. Horntveth played music for the theater troupe Stella Polaris, and has also established himself as a solo artist and composer for film, television and stage. Wikimedia Commons has media related to Martin Horntveth. ^ Savić, Nikola (9 June 2010). "Martin Horntveth, A Gentle Giant". Prog-Sphere.com. Retrieved 6 December 2012. ^ Steen, Knut (28 February 2003). "15 min. med Martin Horntveth –" (in Norwegian). Norsk Musikkinformasjon MIC.no. Retrieved 6 December 2012. Martin Horntveth (født 20. september 1977) er en norsk musiker (hovedsakelig slagverk), komponist og elektronika-artist fra Tønsberg, mest kjent som trommeslager i Jaga Jazzist og The National Bank. Sammen med Ivar «Ravi» Christian Johansen startet han i 1994 bandet Jaga Jazzist hvor han og broren Lars er sentrale medlemmer. Sommeren 2003 skrev han sammen med Lars et bestillingsverk til Vestfold Festspillene i Tønsberg. Verket ble framført av besetningen som etterpå ble til bandet The National Bank. For sangen «Tolerate» fra bandets debutalbumet The National Bank fikk han Edvard-prisen 2005 klasse popmusikk sammen med Lars og tekstforfatter Martin Hagfors. Martin Horntveth har også vært trommeslager i Bigbang i perioden 1997-1999, og var med på albumet Electric Psalmbook. Han har vært bandsjef for Bertine Zetlitz' backingband, og spilt med artister som Anneli Drecker, Thomas Dybdahl og Home Groan. Horntveth har også skrevet musikken til TV-seriene Luftens helter og Himmelblå, samt deltatt i TV-serien Torsdag kveld med Steinar Sagen hvor han var musikkansvarlig og studiomusiker i det fiktive TV-programmet. Han fikk Gammleng-prisen i klassen studiomusiker i 2017.